“The Committee repeats its request for clarification about the measures taken, particularly with regard to racist misleading propaganda against Roma and Sinti indirectly allowed or directly emanating from the authorities”. On the same day that Italy’s deputy prime minister Matteo Salvinia got news that he could be charged with the alleged kidnapping and detention of 177 migrants, the European Committee of Social Rights (ECSR) came out with a damning verdict on Italy’s failure to address violations of the European Social Charter over the unacceptable and blatantly racist treatment meted out to Roma communities across the country. In addition to issues around forced evictions and deplorable living conditions in segregated camps, the Committee warned that official tolerance for anti-Roma hate speech by politicians creates a climate of impunity that emboldens violent far-right extremists. 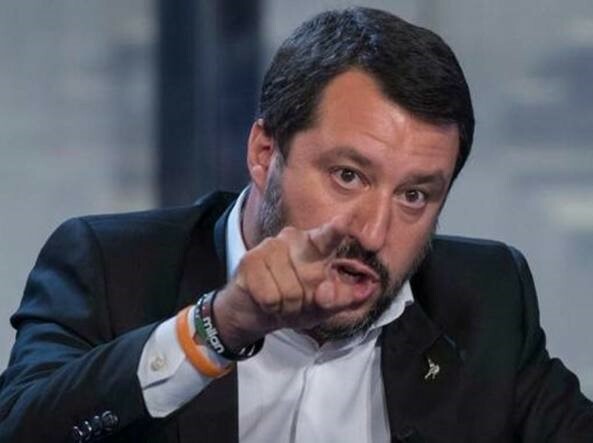 Lega politicians from the Italian delegation to the Council of Europe were furious, and described the resolution as “scandalous and unacceptable” in accusing Italy of “of serious racist, xenophobic and anti-human behavior". Following a complaint lodged by the European Roma Rights Centre against Italy in 2004, the Committee found violations on the grounds that Roma camps were insufficient and inadequate; eviction procedures were inadequate and Roma had been victims of unwarranted violence during these procedures; and the failure to provide permanent dwellings for Roma. “no specific legislation for the protection from discrimination of these communities has been adopted … Roma, Sinti and Caminanti remain socially and economically marginalised. Residents of segregated housing, in particular camps commonly referred to as “nomad camps”, continue to live in deplorable conditions, in spite of court rulings confirming that assigning housing in prefabricated containers surrounded by fencing constitutes discrimination”. Similarly the Committee expressed its concern at the persistence of forced evictions and recalled the 2017 UN recommendation that Italy should avoid these forced evictions and provide Roma communities with sufficient legal protection if they are evicted, together with adequate alternative housing. The Committee considered that the situation “has not been brought into conformity with the Charter”. In 2017, the Framework Convention for the Protection of National Minorities noted, “the tolerance on the part of the authorities for inflammatory anti-Roma statements stimulates an attitude of impunity in which the far right extremists feel emboldened to stage anti-Roma demonstrations and physical attacks”. The Committee also noted that Associazione 21 luglio reported an increase in the number of reported incidents of hate speech against Roma increased between 2016 and 2017; and repeated its request for clarification about the measures taken, particularly with regard to racist misleading propaganda against Roma and Sinti “indirectly allowed or directly emanating from the authorities”. Its verdict in the meantime is that the situation “has not been brought into conformity with the Charter in this respect”. For the full report from the European Committee of Social Rights, Follow-up to Decisions on the Merits of Collective Complaints see: https://bit.ly/2WhFrl7.